We proudly supply, the quality crafted & in-demand, Kracka Racing Surfcraft. 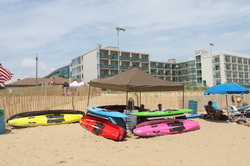 Kracka has paddle boards for all of your lifeguard, surf rescue, and competition needs and Surf Rescue Supply has boards available here in the United States of America! If you are interested in purchasing a board please use our contact form on the site or call (410)641-6699 for more information.